Srinagar and Ladakh have been blessed with picturesque vistas, memorable experiences and wonderful climate. 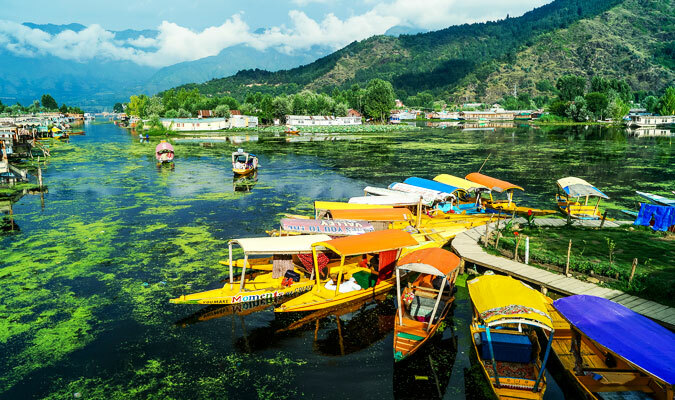 This package from Srinagar offers you a chance to explore these wonderful places, amid the mighty Himalayas. 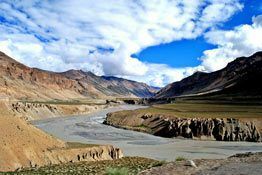 This is a well-planned tour of 10 days that is going to take you to wonderful places and attractions such as Srinagar, Kargil, Leh, Nubra Valley, Pangong and Sarchu. This group tour package is going to be an amazing deal. 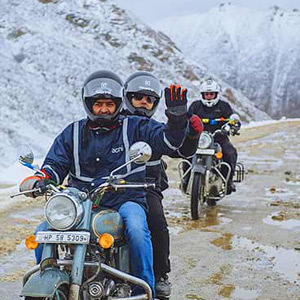 Some of the highlights include Shikara ride in Srinagar, road journey across high-altitude passes, double-humped camel ride in Nubra sand dunes, charming Pangong Lake, and popular monasteries of Ladakh including Thiksey. As you land at Srinagar airport and reach to hotel by yourself, our team members will meet in hotel/ houseboat. (optional :Arrival in Srinagar. Meet our tour representative who helps you with an assisted transfer to hotel with extra cost) . Complete the check-in formalities. Lunch is followed by a Shikara ride on direct payment basis, one of the most popular things to do in Srinagar. Later on, get ready to visit the breathtaking Mughal Gardens-founded in the Mughal era. Nishat Bagh, Chashme-e-Shahi and Shalimar Bagh comprise the Mughal gardens. On day 2, post breakfast get ready for your road transfer to Kargil. On the way, there are halts at Sonamarg –a pristine valley with lush views and snow-clad peak; Zo jila Pass (a high altitude pass); Drass Village- the world’s 2nd coldest inhabitant place. Here you visit War memorial hall and Museum- also known as Vijaypath. The memorial was constructed by the Indian Army in the memory of the soldiers and officers of the Indian Army who laid their lives in Kargil War. Evening arrival in Kargil. Check-in formalities. After breakfast, start driving towards Leh. On the way stop for a quick visit to the Lamayuru monastery. Lamayuru is known for its unique landscape that resembles the moon. Take clicks of the beauty to cherish it as wonderful memories. Continue with your journey. Stop at the Magnetic hill to marvel at the amazing natural wonder. Also pay respects to Pathar Sahib Gurudwara- constructed in memory of Guru Nanak Dev ji- the founder of Sikh religion and the first guru. Continue your road journey. On arrival in Leh, visit the Hall of Fame Museum a war memorial by the Indian Army that was founded in the memory of Indian soldiers who laid lives in Indo-Pak wars. Complete the check-in formalities at your hotel. The day is free of plans. Enjoy the comforts of your hotel. Or opt to explore the local market. As Leh is located at such high altitude, you need to acclimatize. Take sufficient rest, intake of fluids, in addition of walking and getting mobile. 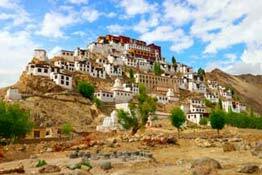 On the 5th day of your Ladakh tour, you will proceed towards one of the wonders of the land. After breakfast get ready for transfer to the gorgeous Nubra Valley via Khardungla Pass- one of the highest motorable roads in the world with an altitude of 18,380 feet. As you reach the Valley, check into the hotel. Have lunch. Later, leave the comforts of your room to enjoy a ride on double-humped camel's back to explore the Sand Dunes between Deskit and Hundur Village. Treat your eyes to the scenery all around. Start the day early with a hearty breakfast. Later, get ready for a visit to Deskit Monastery to get blessings of Lord Buddha. The ancient monastery has a pious ambiance that blesses all who pay a visit. 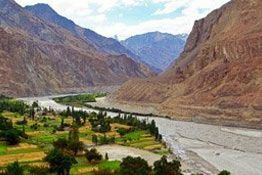 Revel in the magnificent views of Nubra Valley. The beautiful valley in the 'Land of High Passes' is nothing short of amazing for all your senses. 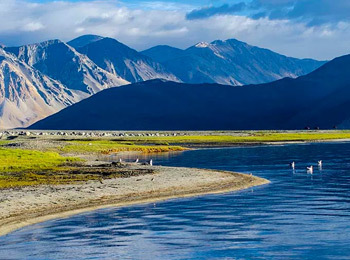 While you drive to Pangong Lake via Shayok River you can enjoy views of amazing landscape beauty. The view itself gives you a rush of adrenalin with its limitless opportunities of adventure. Stop for lunch at Durbuk. After a break of 1 hour, continue with your drive to Pangong Lake. On arrival, check into the tents. Bask in bliss with a view of the multiple blue colors of the water. 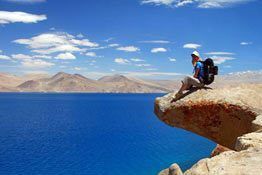 In addition, start gazing at Pangong Lake is also an experience of a lifetime. Overnight stay in Pangong Lake. Early morning enjoy the picturesque view of Sun rise on lake. After Breakfast drive back to Leh, enroute visit Thiksey Monastery and Shey Palace. Our driver will drop you Leh market and explore yourself. Later car will leave service station. After Breakfast 7:30 drive to Sarchu passing, Skyangchu Thang – Enjoy your lunch at Pang, by crossing Nakeela and Lachlung La. Continue drive to jispa Arrive jispa by evening. O/N jispa. Day 9 Jispa–Manali 140 Kms/ 6 Hrs. After the breakfast drive for Manali, a beautiful scenic drive by crossing Baralacha La (4845m), lunch at Sissu village, later cross famous Rohtang Pass, 13050 ft. Arrive Manali / Manali sightseeing later back to hotel (arriving Manali depend on traffic of rohtang pass. Today is the last day. Get an assisted transfer to the airport / bus stand for your onward journey. Twin sharing accommodation at all places in HOTEL/ Camps as applicable to the itinerary. Daily Breakfast and Dinner at all the hotels. GST 5% as of now. Exclusive sightseeing & excursions by one non-ac Deluxe tempo or car as per above program. 3kg Oxygen cylinder is include from day 5th Leh to Leh only. Tour manager (guide only applicable on above 8 pax strength in group). Shikara ride in Srinagar Dal Lake or the lake. Airport transfer at Srinagar airport / Manali drop Services (Extra cost would be INR 1200 per transfer). Porter age & tips at the airport, Hotel/Camp staff & drivers. Group should be minimum 8 to operate the tour. Srinagar local sightseeing reporting time: 3 PM, departure 3:30 PM. Seating plan on daily rotation basis not choose by personal interest. Srinagar pick up and Manali transfer own arrange by guest (services available INR: 2000 OPTIONAL). All the hotel vouchers /confirmation status will issued prior 10 days departure. Tour start from Srinagar hotel only (guest should be assemble for on time for local sightseeing. En-route Lunch time and venue will decide by our tour manager. Late check out and fresh time is not included in cost. Further directly coordinate with Hotel Receptionist.